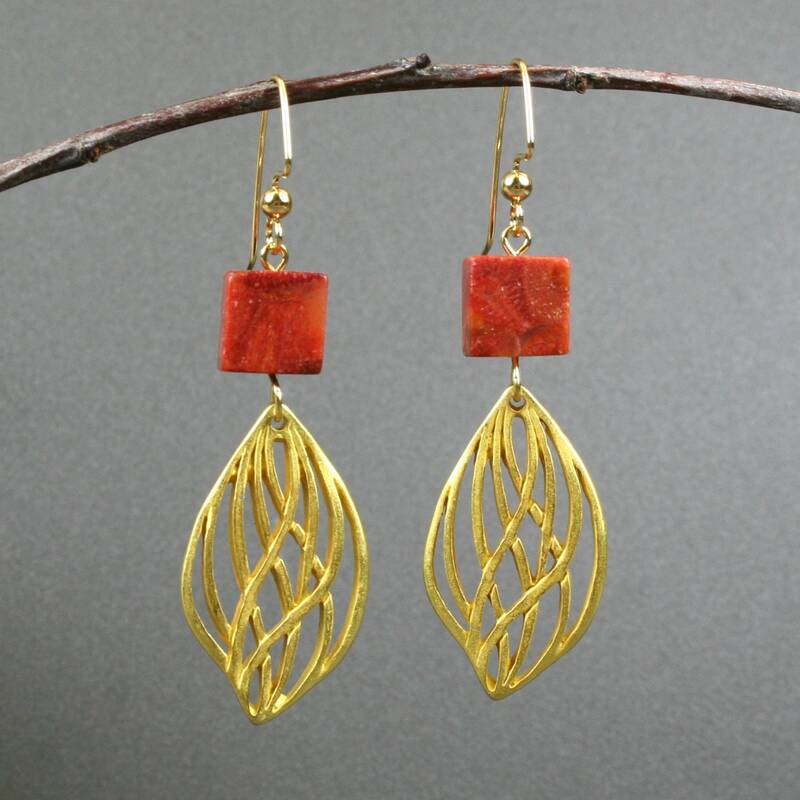 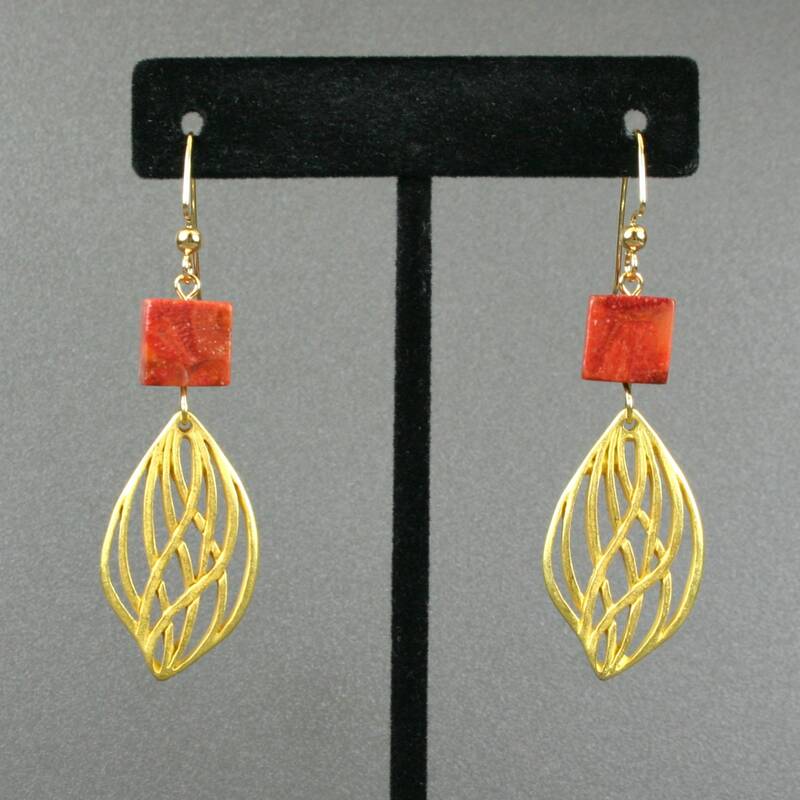 Each earring is made from a gold finished pewter open leaf dangle with swirling lines that dangles below a flat red coral square. 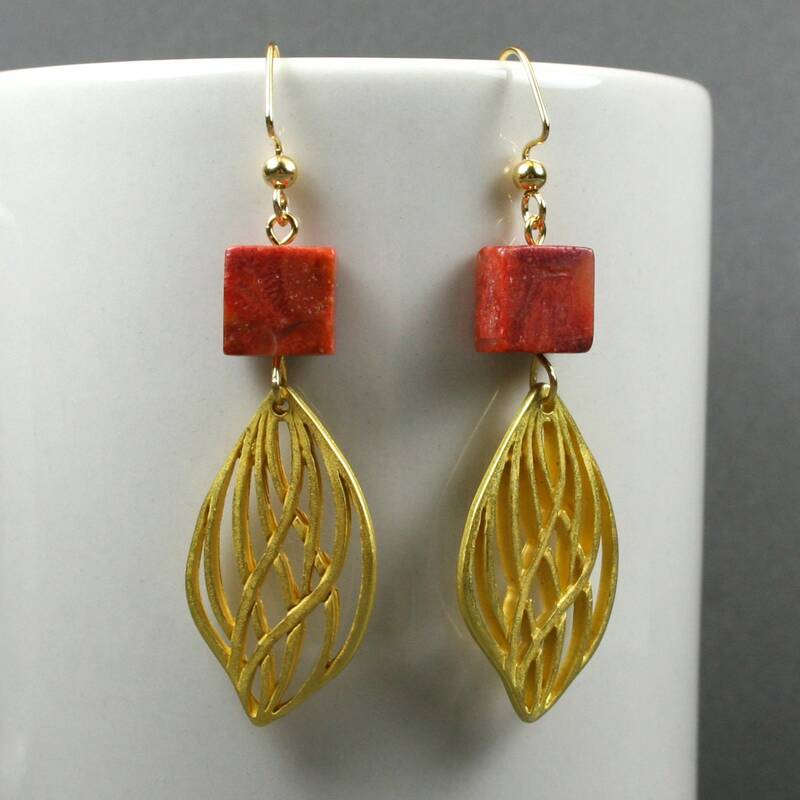 These hang from gold plated ear wires. 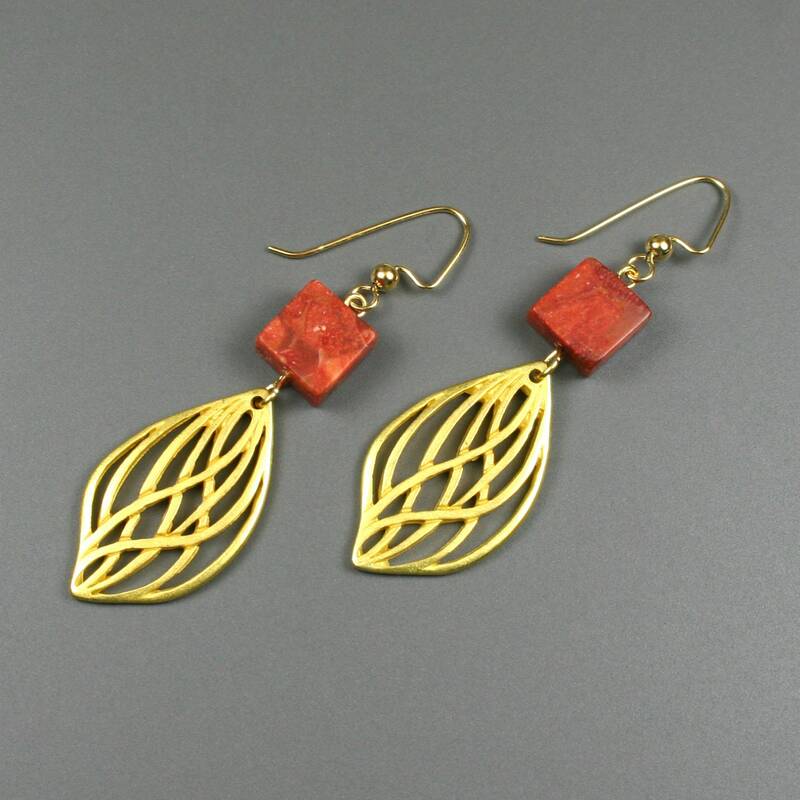 The leaf dangles are approximately 21 mm x 18 mm, and the coral square is approximately 10 mm across. 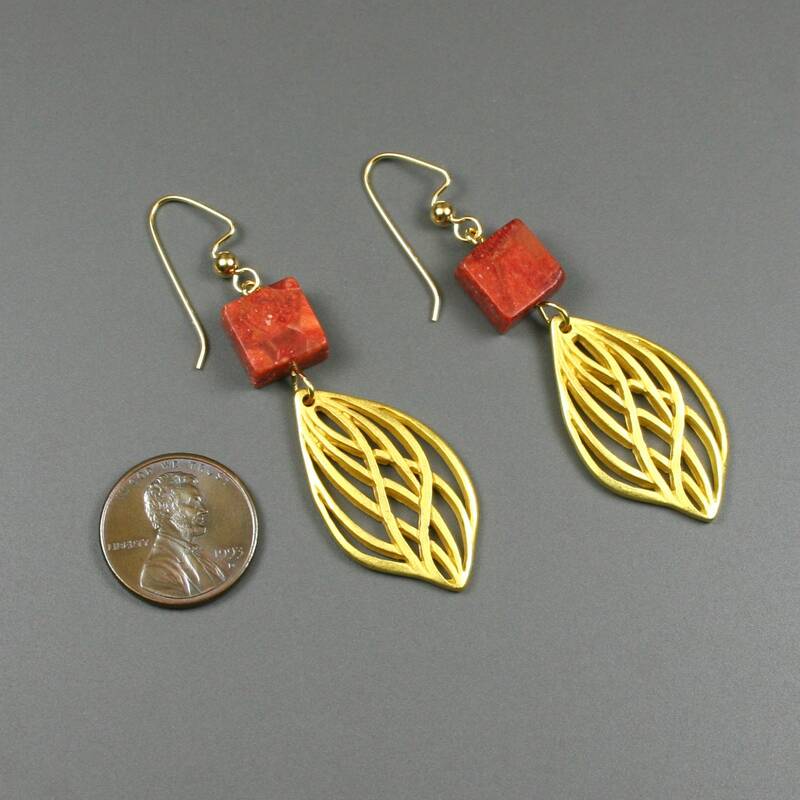 The bottom of the earrings dangle about 62 mm from the top of the ear wire.